Skin packaging of small one-row ball bearings | ZVL SLOVAKIA a.s.
ZVL SLOVAKIA, a.s. offers skin packaging of bearings for its customers. The packing method is intended mostly for packing of miniature and small ball bearing onto the base cardboard with endless printed trademark of manufacturer ZVL SLOVAKIA. 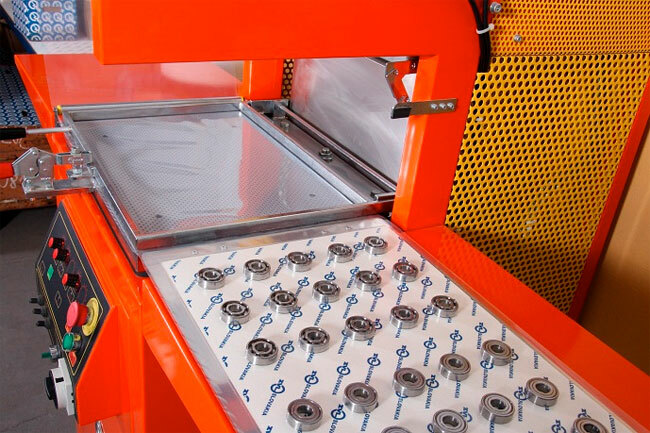 Skin wrapping machine drags the foil through the base cardboard and subsequently shapes the foil around the bearings. 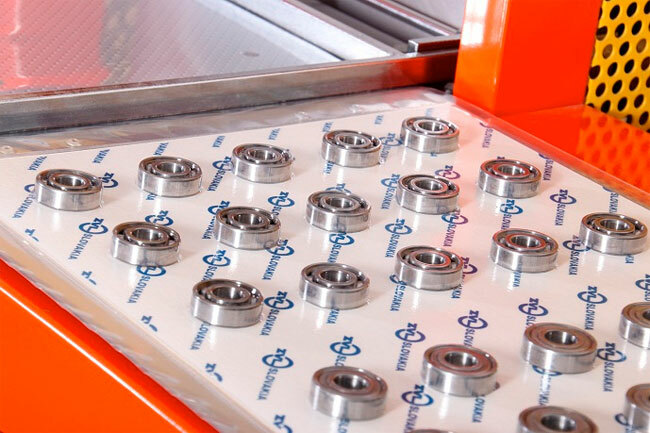 On the basis of specific customer requirements we offer the packaging method also for other bearing types. For detailed information, please download the newsletter „Skin packaging.pdf“.